After dinner last night I walked the towpath into Chester. It was going on dusk and the light was fading but the lens on the Canon does a very good job of capturing ambient light. 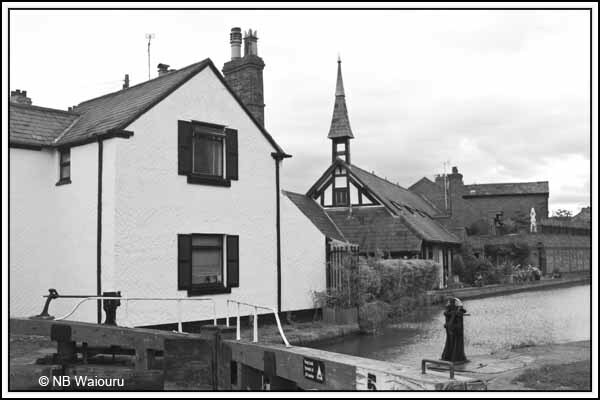 The old lock keepers cottage stands alone and forlorn with the windows boarded and weeds encroaching from three sides. Closer to town I noticed the unusual end gable on a canal side property. 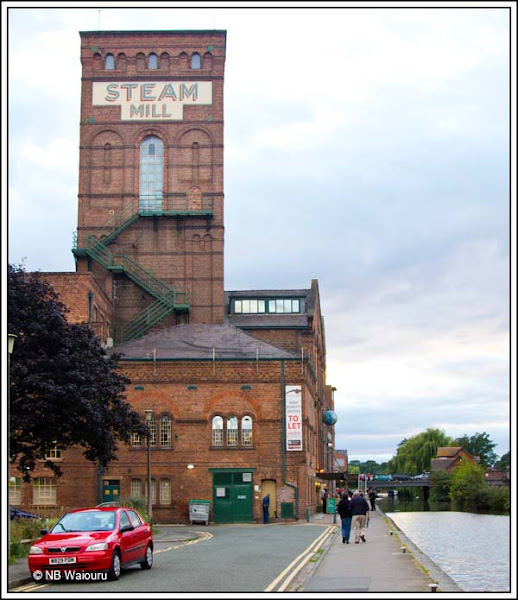 The former Steam Mill building beside the canal has been redeveloped as upmarket offices and apartments with restaurants and bars on the ground floor adjacent to the canal. Making my way past the Friday evening revellers (who were just starting to warm up) I reached the 48 hour moorings. These appear to be located between two areas of nightlife and will probably get a significant amount of foot traffic into the early hours on a Friday and Saturday night. I’m pleased we decided against mooring there! This morning we walked to the Park & Ride station only to find they don’t accept Seniors Concession Cards. Rather than pay the £2 each we walked the short distance back to the main road and caught a regular community bus into Chester. Both of us were looking for a new pair of shoes and Jan also wanted to get more EasiYo from Lakeland. It’s our third visit to Chester. The first was in 2001 and we noticed some shops have closed since that initial visit. 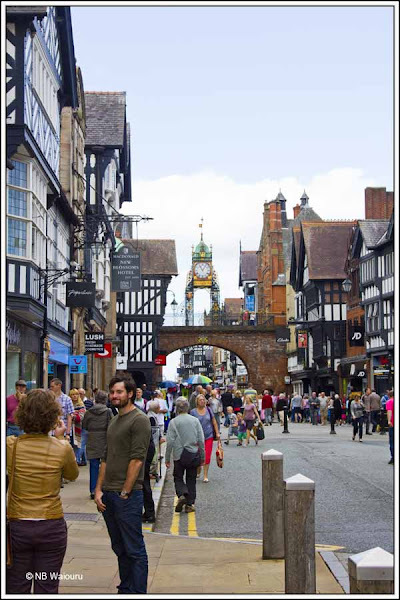 Chester is known for it's Roman links, although the older building looked to be more medieval. 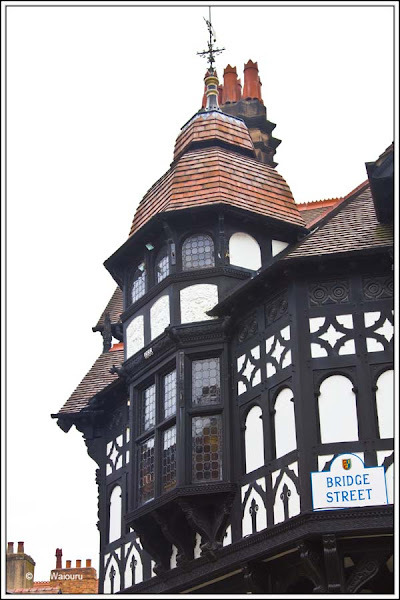 Actually I suspect much of the Tudor architecture doesn’t go back more than a couple of hundred years? The principal shopping area appears to be Foregate and Eastgate Streets. The latter has the clock erected to commemorate Queen Victoria’s Diamond Jubilee in 1897. The clock has been erected above one of the gates of the original town wall. We eventually found Lakeland (it wasn’t lost… .we were!) where Jan purchased two boxes of EasiYo yoghurt sachets and then we walked to Cotswolds Outdoors where we each bought a new pair of outdoor walking shoes. The soles are worn out on our existing shoes and they are now a safety hazard. 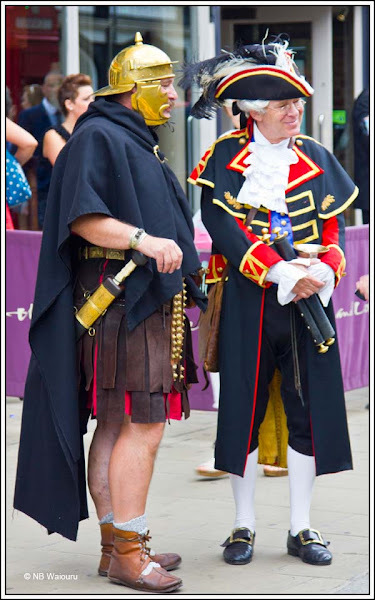 Did I mention we saw a Roman tourist talking to one of the locals. We thought it might have been Silvio Berlusconi. Actually Jan thought he was wearing his bunga bunga outfit? Back at the bus stop the locals who were on the same bus as us coming into town recognised us and we were warmly greeted. Even told us the name of the stop where we caught the bus and the stop to get off for the canal. I guess they all catch the same bus every Saturday! 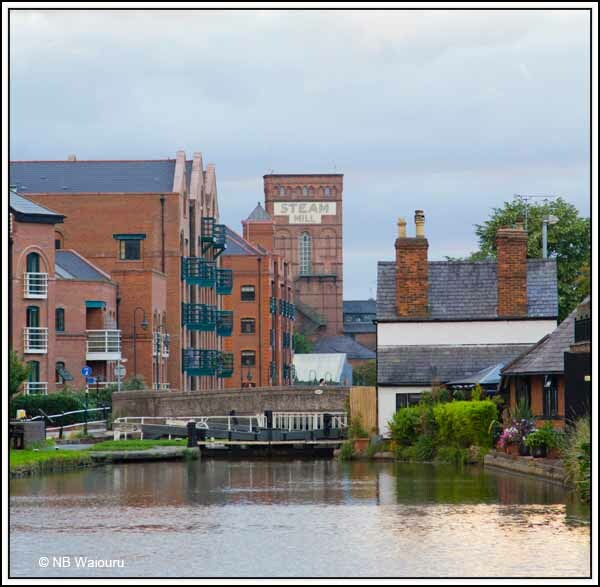 We will slip though Chester on a quiet Sunday morning…… Well that’s the plan! 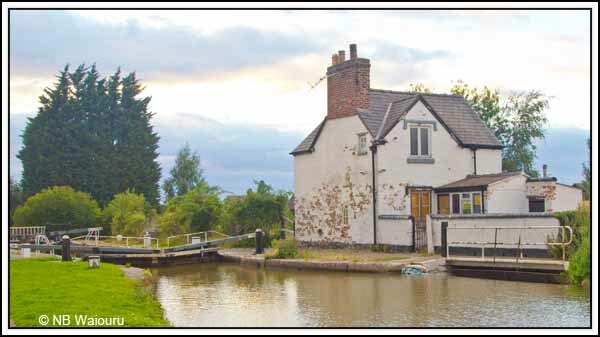 The 48 hour moorings below the staircase locks are quiet. We stayed right in the middle of Chester for about 4 days, no probs. I suspect you are correct Paul. I didn't feel we would be unsafe, but it would have been very noisy on Friday or Saturday night.